International Christian groups are hailing a report demanding fresh solutions to tax dodging by multinational companies. The World Council of Churches and the UK's Christian Aid cite researchers from the International Monetary Fund who say tax rules could be costing developing countries $212 billion a year. The report, from the Independent Commission for the Reform of International Corporate Taxation, warns that existing global tax rules are "obsolete and ineffective." The report by the ICRICT says current tax rules are "preventing tax abuse by multinational corporations," because they are based on a legal fiction that multinationals' subsidiaries are separate entities. The WCC says the international tax reform was initiated by a coalition of organizations including council calling for an overhaul of the global taxation system to alleviate poverty in developing nations. The commission also argues that tax reform efforts by the Organization for Economic Co-operation and Development are "a step in the right direction but fundamentally inadequate." The OECD is an international economic organization of 34 countries, founded in 1961 to stimulate economic progress and world trade. The forum describes itself as committed to democracy and the market economy. The ICRICT notes that the OECD does not reflect the priorities of poor countries. 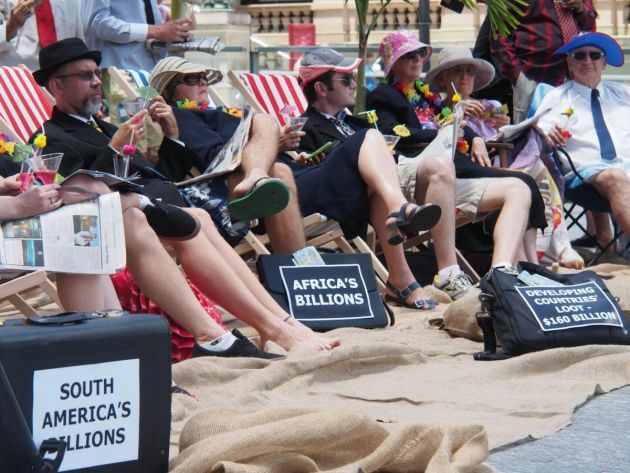 Its new report came days after Washington-based IMF researchers suggested that poor countries are losing as much as $212 billion a year to tax avoidance by multinationals – and considerably more than rich OECD countries, relative to the size of their economies. The WCC said the ICRICT Declaration is as an important input to the 3rd International Conference on Financing for Development to be convened by the United Nations from July 13-16 in Addis Ababa. It is initiated by a consortium of civil society organizations including the WCC. ICRICT is composed of public leaders and economists comprising, among others, Rev. Suzanne Matale, general secretary of the Council of Churches in Zambia, and Manuel Montes, an economist at the South Center and a member of the Ecumenical Panel on a New International Financial and Economic Architecture. "The ICRICT's proposals aim to ensure that multinational corporations such as [mineral and resources conglomerate] Glencore pay their fair share of taxes so that countries like the Democratic Republic of Congo can mobilize resources to eradicate poverty," said Athena Peralta. She is a consultant for the Economic and Ecological Justice Program at the WCC. Tackling corporate tax evasion and avoidance is one of the action points identified in "Economy of Life for All Now: An Ecumenical Action Plan for a New International Financial and Economic Architecture" and the "Sao Paolo Statement: International Financial Transformation for an Economy of Life." Toby Quantrill, an economic and justice adviser at Christian Aid, noted the IMF sum of $212 billion. "This is a staggering sum, which represents untold damage to the public services needed by people living in poverty in developing countries," he said. He noted, "It is becoming ever clearer that the OECD's work will be ineffective even for the richer and more powerful countries and do little or nothing for the poorest. "It's time for developing countries to start adopting their own reforms now, and for truly inclusive international co-operation that tackles tax reform from the perspective of the public interest."